Ortak one of the original jewellery manufactures in Orkney, making jewellery since 1967. Ortak's iconic designs are known all over the UK and the world. Today Ortak has been revived and is an established jewellery manufacturer, making Gold and Silver jewellery in a range of contemporary and classic designs in the Orkney Islands. Our designs are both modern and classic, along with traditional gold and silver, we use hot glass enamel to bring jewellery to life with a range of 100's of colours, which can easily be matched to individual requirements. We provide a bespoke design service, allowing you to design your own special jewellery, which can then be enhanced by our talented design and crafts people. Our Jewellery is made in our compact workshop at Great Western Road, Kirkwall, where visitors are more than welcome to come along and see jewellery being made every day. You can see the full process from design to the final product being prepared for our retail store. After your visit to the factory, pop along the street to our retail store in Albert Street, it is only a 5 minute walk. 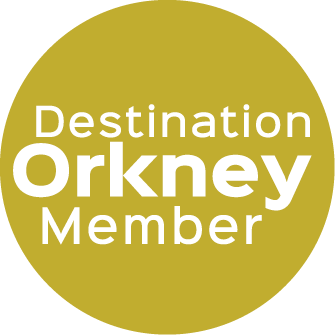 Our retail store not only stocks our beautiful jewellery, but has a large range of handmade crafts made by members of the Orkney Craft Association, we are the MADE IN ORKNEY shop. We have a back catalogue of over 10,000 designs, of which a personal selection has been chosen for our store, along with our new ranges. Many more ranges are available at our website or can be made to order by contacting either of our locations. Tak is the Norse for Thank You. Ortak Thanks you for visiting our listing and we hope you come to visit us, so we can also thank you in person. Open Sundays from May to August.